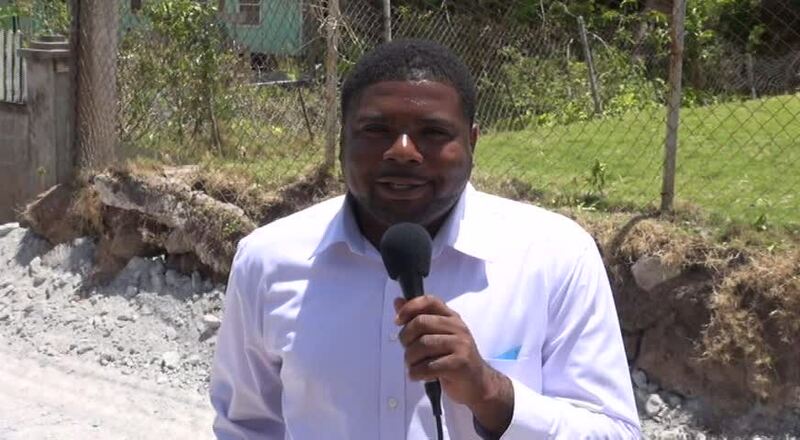 NIA CHARLESTOWN NEVIS (April 21, 2015) — Junior Minister in the Ministry of Communication, Works and Public Utilities Hon. Troy Liburd assured the residents of Hanley’s Road, Gingerland that all necessary measures were being put in place to control dust issues associated with ongoing road rehabilitation works for the least possible discomfort to residents there. 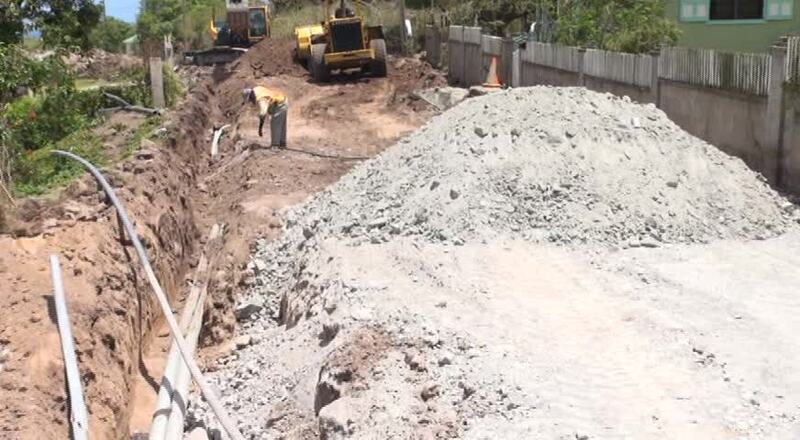 During a site visit to Hanley’s Road on April 15, 2015, Mr. Liburd, in an update on the project, told the Department of Information that the residents there had been very accommodating since the Nevis Island Administration project commenced one month ago. He thanked them for their patience. The Minister expressed satisfaction with the pace of the project which he described as being very involved and one which was in keeping with the administration’s promise to utilise local labour, equipment and other support services. Mr. Liburd gave an insight into what the project entailed and the expectations. “We have already done the water pipes and we are doing the trenching for the telephone pipes at the same time that we are doing the excavating of the road,” he said. The Junior Minister expressed hope that they will be working in the area of the Wesleyan Holiness Church at Bucks Hill in two weeks after which the upper section of the road would be graded, a curb and slipper [drain] would be constructed and fences which border the road would be replaced. He noted that on completion of the rehabilitated Hanley’s Road, users would be able to drive along a straight path since they are seeking to remove all the undulations. He said the existing road would be graded down by about one foot to a new level.